Ghana's Elikem Kumordzie and Zimbabwe's Pokello Nare, could have their white wedding in Ghana in six months time. 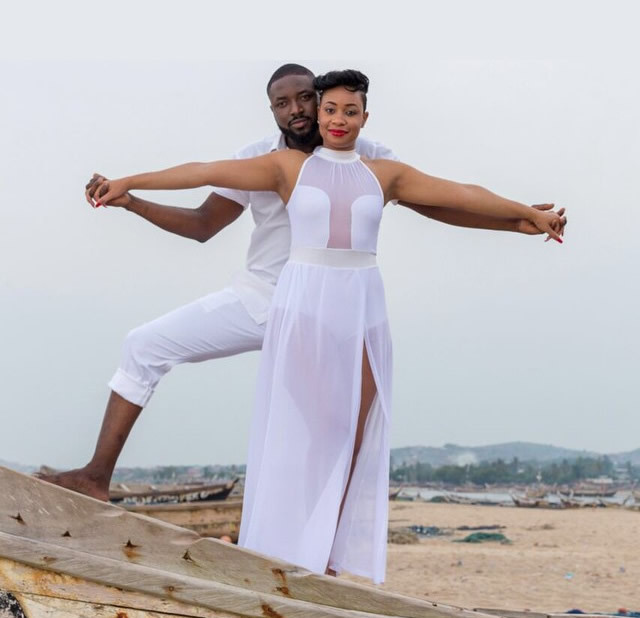 Elikem, who married Pokello on Saturday, June 20, 2015, in an interview on Airtel Entertainment News on Drive Time on Joy FM dropped the hint about the wedding, yesterday evening. The Big Brother Africa lovebirds had their traditional wedding in Zimbabwe after dating for two years. Asked when the white wedding will be held, the Ghanaian actor and fashion designer said they are not in a rush but it may take place in about six months to a year. According to him, in Zimbabwe, the white wedding is held about six months after the traditional marriage. "Over here they don’t rush the white wedding. They give it some time.. it's six months or a year." Elikem explained that Ghana is likely to be the venue for the white wedding because, "the traditional wedding was here because this is where the lady comes from but otherwise the white wedding should most likely be in Ghana and another reception in Zimbabwe." Commenting on marriage life, Ghana's best performing Big Brother Africa housemate, revealed "feels no different. Me and Pokello have been together for the past two years or so and had been engaged for a year and any time we are around each other we are basically like a couple I guess." He said the wedding was "just making it formal now and doing the right thing which is getting married otherwise it's the same friends, same lifestyle. It's just now [there is some] responsibility. It is [important] when it comes to taking good care of your wife." There were reports that the Ghanaian paid $25,000 as lobola (bride price) for his love, Pokello. Elikem will neither deny nor confirm the amount but said unlike Ghana, where one buys just some items, the lebola rages from "$15,000 to $30,000 for a labola for a girl like Pokello." The amount he paid, he added, is "a lot of money trust me. When it is converted into Ghana money.. talk about cars and maybe a mortgage or something.. it was quite a lump sum," adding that for a woman like Pokello the amount was worth it. Wow, that sounds amazing! Thanks for the photos. Their white wedding was fabulous. White weddings look so decent. My best friend just had white wedding at the finest event space NYC venue. I loved all the décor in her wedding ceremony.